2Ki 3:16 And he said, The Lord says, I will make this valley full of water-holes. 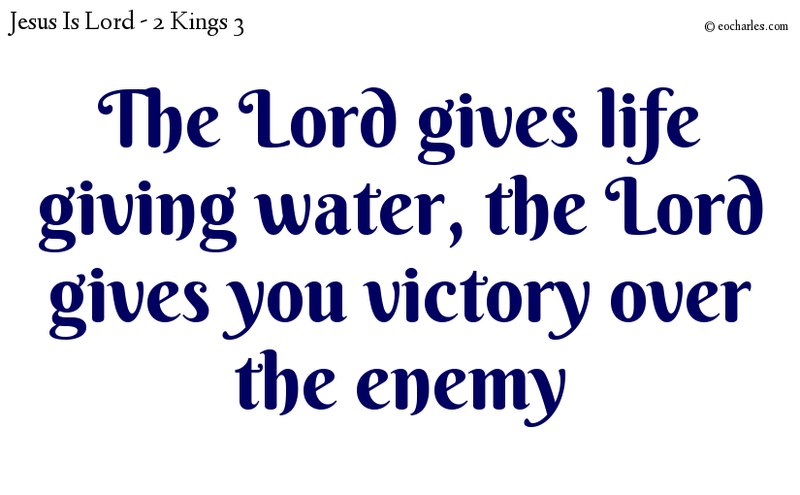 2Ki 3:17 For the Lord says, Though you see no wind or rain, the valley will be full of water, and you and your armies and your beasts will have drink. 2Ki 3:18 And this will be only a small thing to the Lord: in addition he will give the Moabites into your hands. Next Next post: Why is the world the way it is?